The Kinder Dreaming incursion is an adapted early learning tool for your young ones. 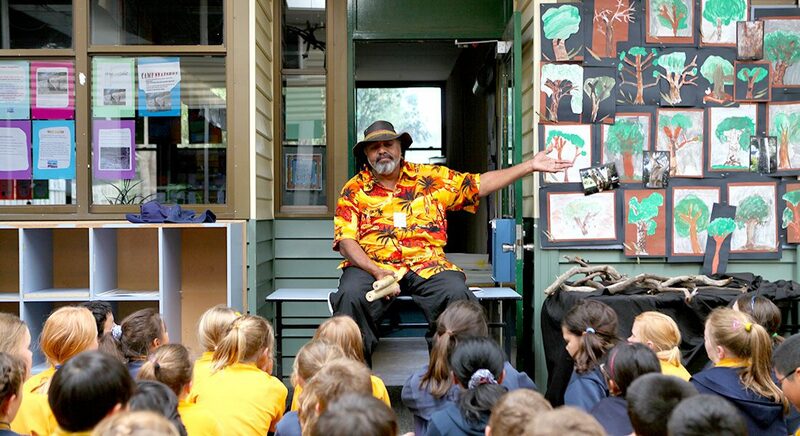 This program will introduce your students to Australian Indigenous culture with Western Creation presenter Tristan Harris. Tristan delivers an interactive program showcasing face-painting and a game of musical didge or copycat accompanied by live didgeridoo.